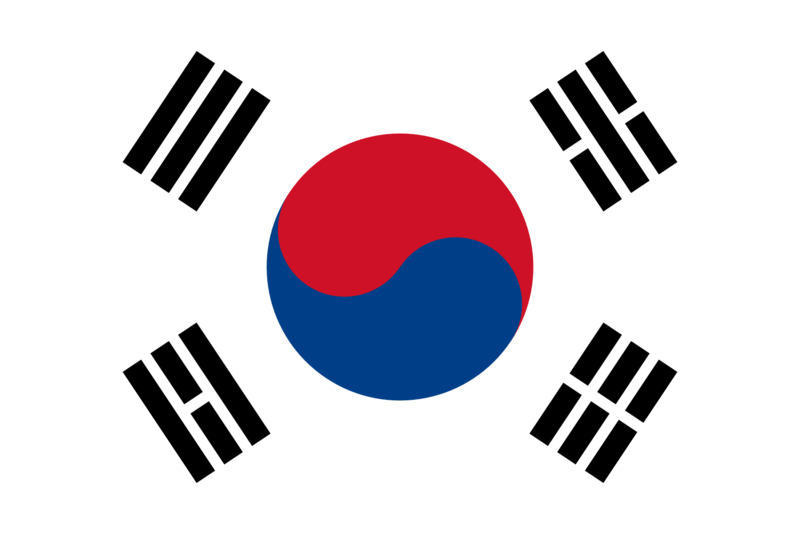 The Flag of the Republic of Korea, also known as the Taegukgi (also spelled as Taegeukgi, literally “supreme ultimate flag”), has three parts: a white rectangular background, a red and blue Taeguk, symbolizing balance, in its center, and four black trig-rams selected from the original eight, one toward each corner. The three broken bars (lower right) symbolize earth. The white field represents the traditional colour of the Korean people. The centred Yin-yang symbol signifies unity.